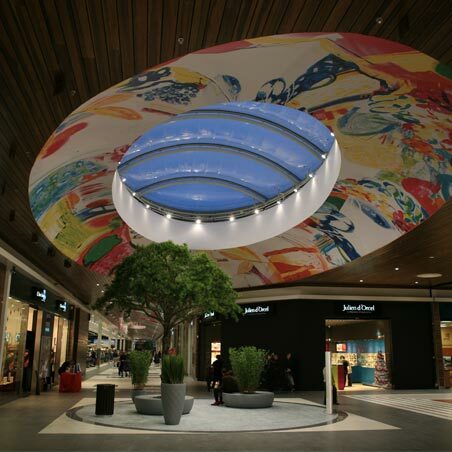 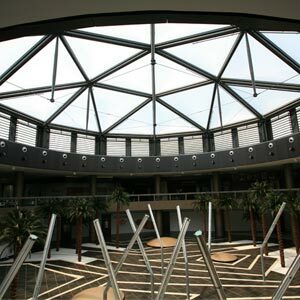 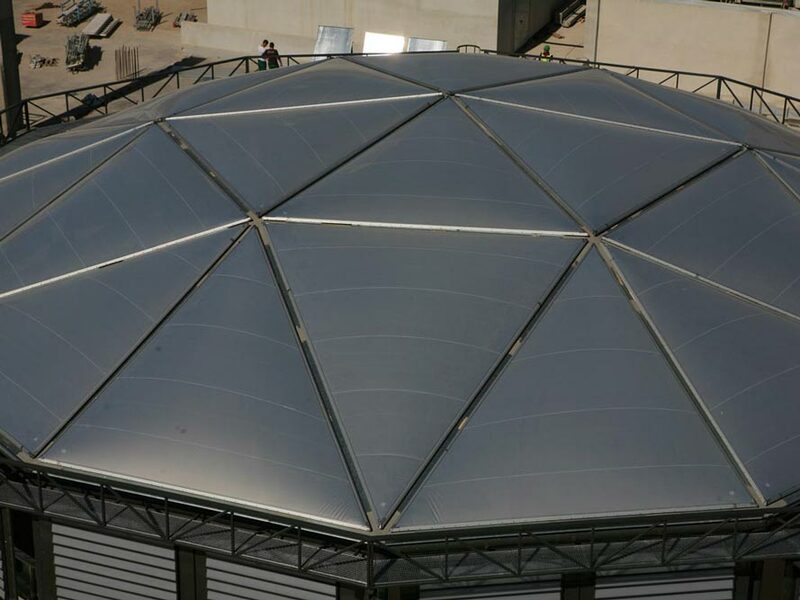 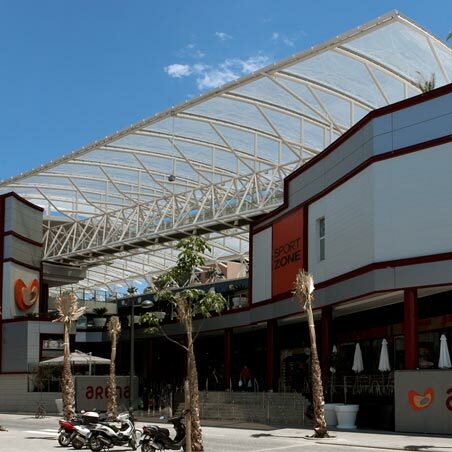 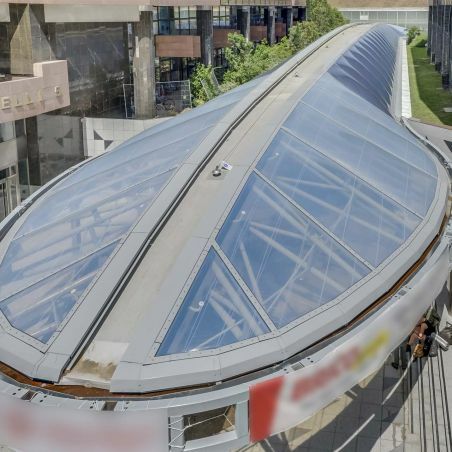 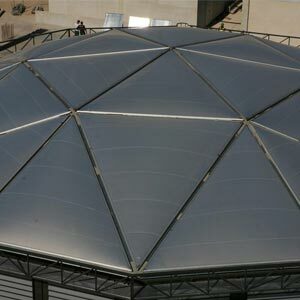 In the great square where the two main axes of the commercial space converge the dome of more than 25 m diameter appears. 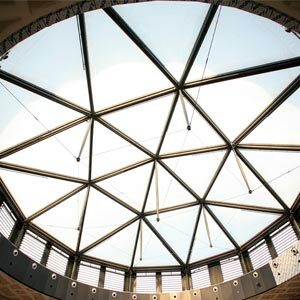 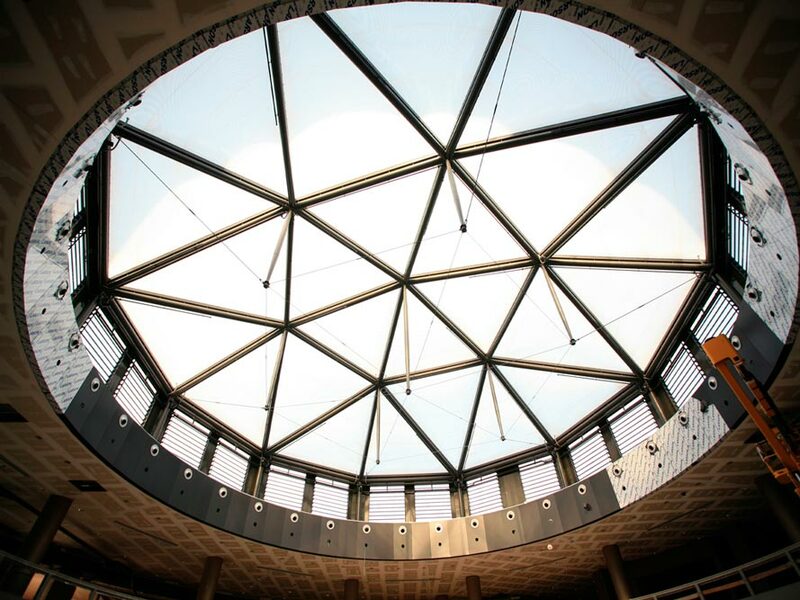 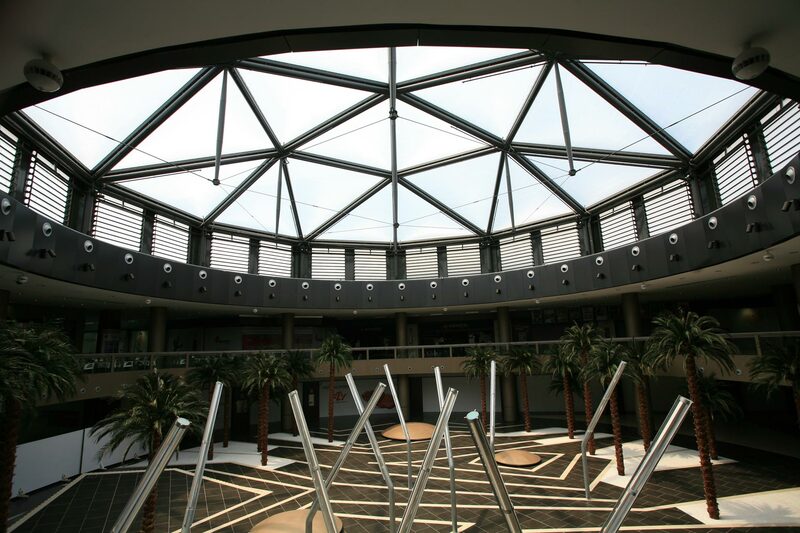 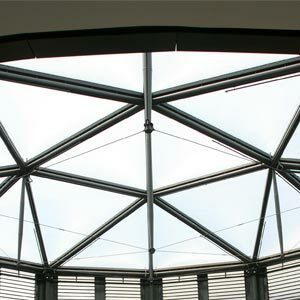 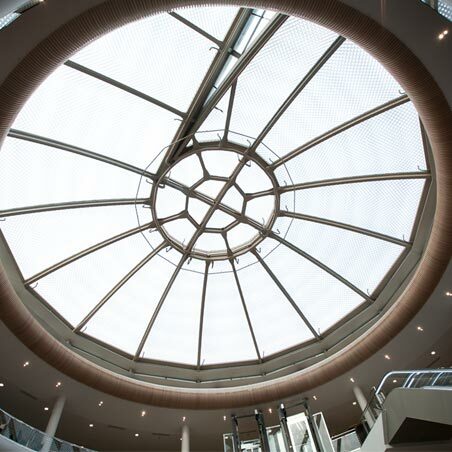 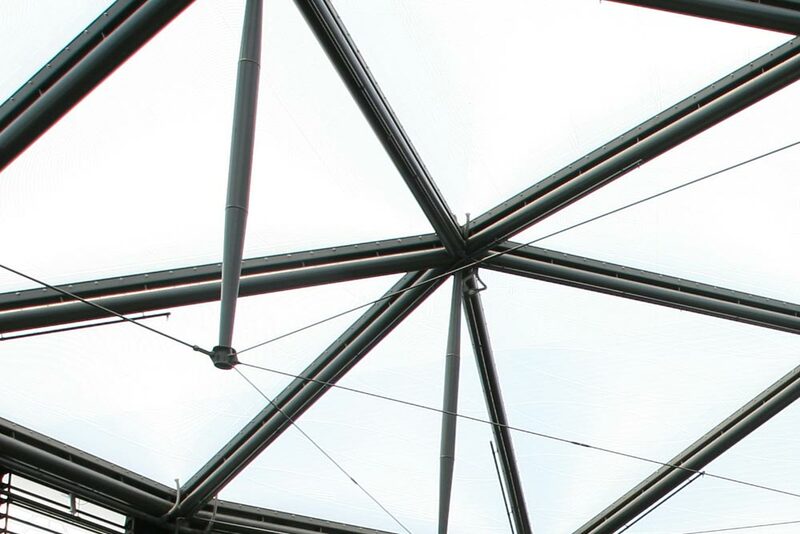 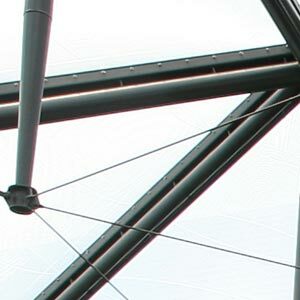 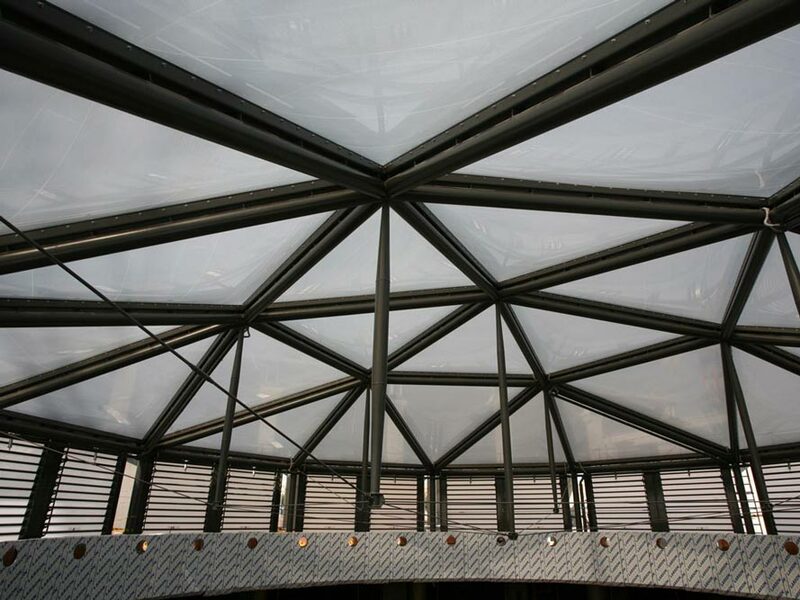 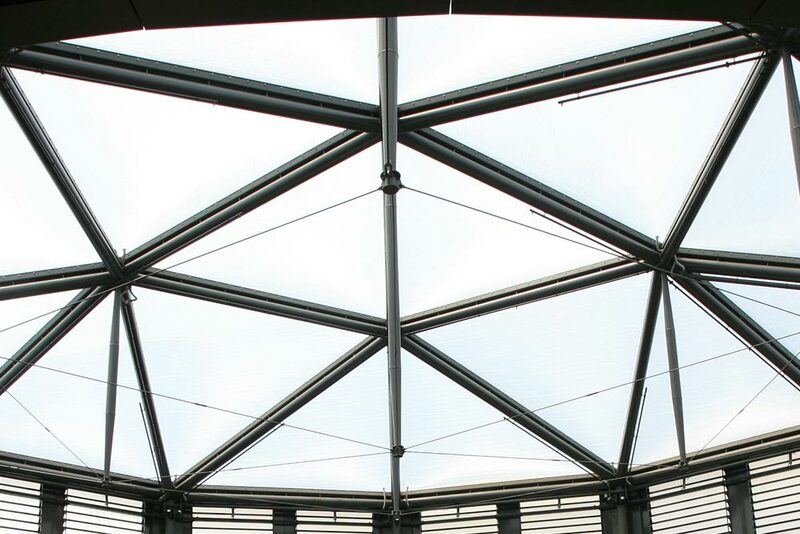 The spectacular geometry of the metal structure decomposes the skylight in 24 triangular cushions. 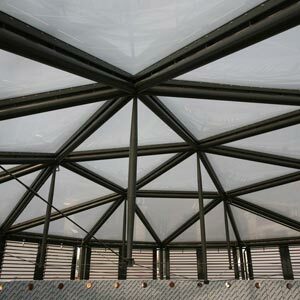 The double-sheet printed cushions protect from solar radiation, while having a very high visible light pass through.